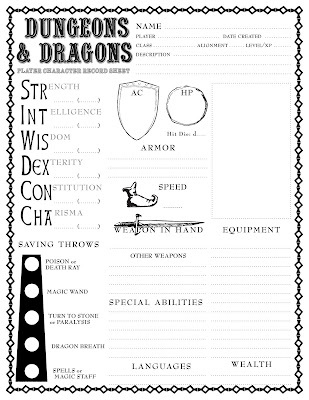 Need a Basic D&D Character? Let the Sheet Do It For You! 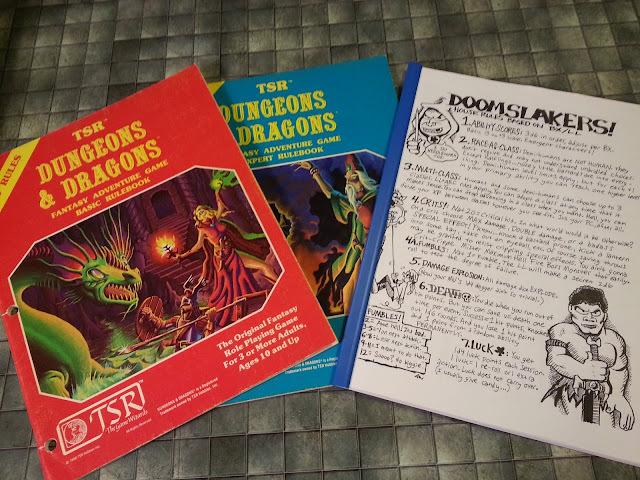 I've popped the code from my revised Basic D&D NPC sheet into the newly designed Basic D&D character record sheet so you can use it to quickly throw together characters from levels 1 through 3 as needed. The sheet uses most of the same lists (names, descriptions, etc.) as the revised NPC sheet does, but it only generates standard player character classes (no "normal humans" here). It also computes starting wealth, and deducts from it the cost of any weapons/armor the character possesses.